Super Bowl XLVIII is a distant memory. Am I in denial of the outcome? Nah, just no sense dwelling in the past. 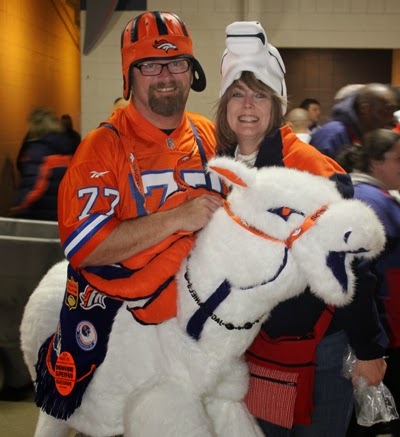 When it comes to the Denver Broncos, for better or worse, I am forever a fan. 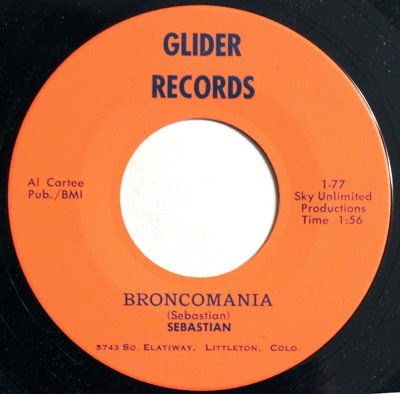 On my last trip home I discovered a Sam Adams-sized (look him up) cache of Broncos-related vinyl. 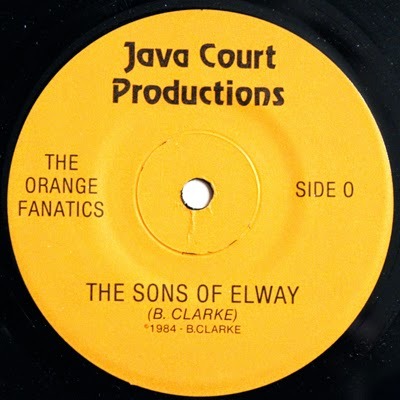 Just when I thought there were no more odes to the blue and orange, I found more records to add to the collection. See part one of the stash here. First up, yet another find from the illustrious Orange Crush years, courtesy of Sebastian Bastian. When Red's Denver Broncos kick a hole in the fence... and run free, running free. 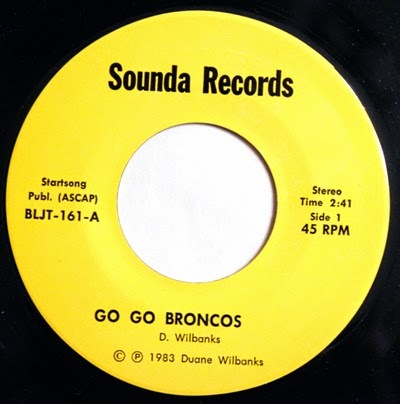 Duane Wilbanks, with help from Tom Gregor (former Cindy Wheeler band drummer, and later the owner and engineer of choice at StartSong Studios in the Springs) penned a disco-tinged song to celebrate the team's 13-3 AFC West Champs, 1984 season. 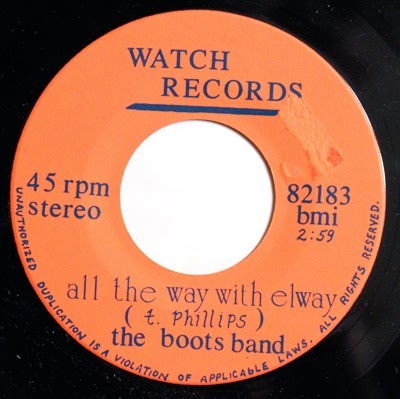 Supposedly this next record, the overly redundant "All the Way with Elway," by the Boots Band, came as an extra in the Denver Post home delivery (can't imagine how many of these broke when they were thrown on porches). Reggae-infused, Jimmy Buffett-style tribute to number 7 and his "sons," by the Orange Fanatics. Not sure how Butch Johnson and Steve Watson would feel about the lyrics. Saving the best for last here. 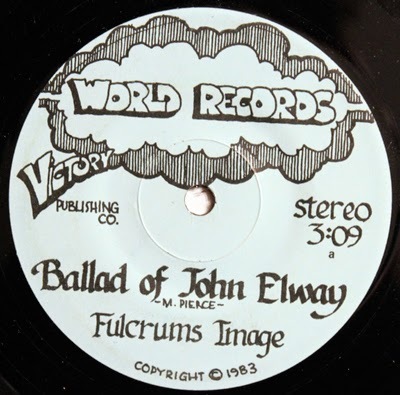 The Denver prog-influenced band Flucrums Image also got into the Broncosmania wave of 1984, with this I-have-no-words-how-much-I-love-this record. although I'm not a superstar, a human being is all you are."